EmployBridge, headquartered in Atlanta, GA, is a privately owned leading provider of outsourced human resource and specialty-branded temporary staffing services in the United States. EmployBridge operates 155 branches/on-sites primarily under the ResourceMFG, ProLogistix, and ProDrivers brands, providing skilled light industrial personnel to three specific industry verticals – specialty manufacturing, warehousing/logistics, and transportation. According to Loope, EmployBridge believes a job application is an order for placing a job. If the customer has the right skills for the job, then EmployBridge will contact the applicant immediately for a face to face meeting. Manish Limaye, Management Consulting Principal, Credera, shared the automation challenge that EmployBridge faced. “You walk into the branch, you fill out the paper work, and that paperwork would end up in a stack with a bunch of other paperwork that needed to be entered in a system,” said Limaye. EmployBridge engaged Credera to build an applicant tracking system that would automate the entry of applications and actually push the entry down to the individual that is applying for the job. “If we can solve the labor issue of moving all of these applications from the paper-based applications into our database where we can search them and match them, that would … make us [EmployBridge] better at finding people jobs,” said Loope. Credera worked closely with EmployBridge to design and implement a custom online application solution known as Online Application Entry (OAE). OAE supports the entire job application process from the candidate’s initial application to the final matching of candidates to jobs. 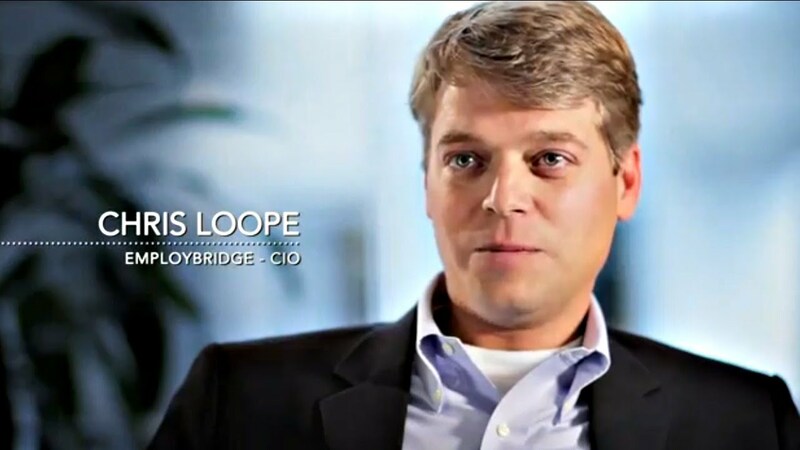 “He [Chris Loope] has mentioned to me that particular solution [the application tracking solution] has helped them [EmployBridge] weather through the last recession,” said Limaye. “EmployBridge is not only committed to excellence, but they are constantly looking for ways to redesign the wheel,” said Limaye. “What they [EmployBridge] actually do, the function they provide, is directly impacting, in a positive way, the livelihood of thousands of people,” said Limaye. For further information about EmployBridge, please visit www.employbridge.com. Additional information about the OAE initiative, technologies used, and the impact on EmployBridge’s business can be found in the case study – EmployBridge Process Automation Increases Productivity and Improves Service Delivery.